This article lists a number of basic concepts that are used in Kazi's profiling service. Cluster group: A group of clusters, e.g. the cluster group 'STEM' contains the clusters 'Civil Engineer', 'Industrial Engineer', 'Economy, finance and management', 'IT-ICT' and 'Highly educated starters (general)'. Competence: A certain soft skill which can be used to describe a user or a profile. These competences are grouped into work values (e.g. creative, networker, goal-oriented performer, ...) and team roles (e.g. helicopter, challenger, harmonious, ...). Competence type: Kazi uses two different types of competence: work values (e.g. creative, networker, goal-oriented performer, ...) and team roles (e.g. helicopter, challenger, harmonious, ...). Context: The environment in which the profile will be operating, e.g. work place, learning place. The questions, answer options and descriptions of competences are adapted to the context. For example, for the context 'learning place', 'job' is replaced with 'learning place' in all the texts. Use the default context if you are not sure which one to choose. Partner: A Kazi customer with a valid subscription. Profile: A person with certain competences that a company is looking for. This profile can be compared to the user's profiles to find suitable candidates. Question: A question about work values or team roles which is asked to determine the user's or profile's set of competences. 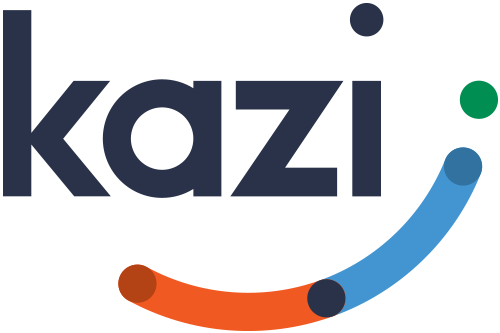 User: A job seeker who can look for job profiles that match with their Kazi profile. Also referred to as 'talent'.